HERE / In-car navigation reinvented: HERE announces HERE Navigation On Demand . Processed and transmitted by West Corporation. The issuer is solely responsible for the content of this announcement. Las Vegas, CES 2019 - HERE Technologies today announced HERE Navigation On Demand, a new one-stop solution for automakers to enable compelling, full-featured and always-fresh navigation experiences in their vehicles, including in the volume segment. HERE Navigation On Demand is navigation as a service, combining the benefits of embedded navigation with the experience and familiarity of a mobile navigation solution. This fully integrated solution works off the shelf, and offers easy and cost-effective deployment in connected embedded systems as well as on mobile, including mirrored set-ups. Automakers can also take advantage of an out-of-the-box framework enabling them to sell connected services on-demand and generate new sources of recurring revenue. 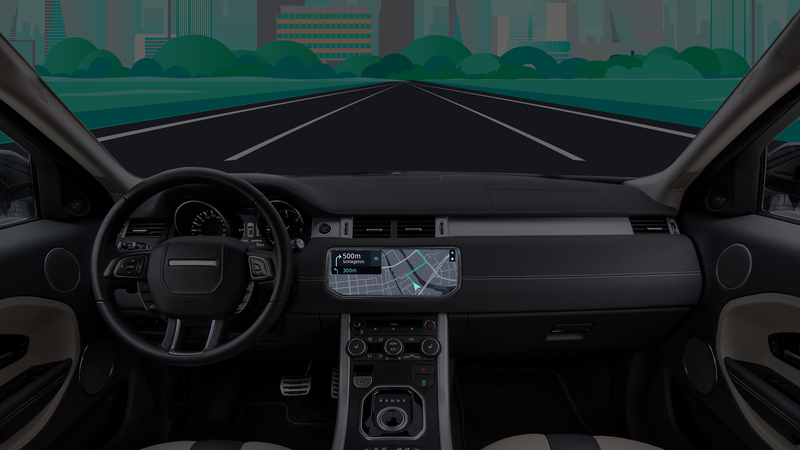 "HERE Navigation On Demand is the reinvention of in-car navigation for the era of the connected vehicle," said Edzard Overbeek, CEO of HERE Technologies. "Our solution gives automakers the agility and flexibility they need to deliver the most competitive navigation experiences on the market. Moreover, it provides them the freedom to create their own business models that support their unique strategies." HERE Navigation On Demand is a one-stop solution for automakers, enabling them to easily configure and deploy navigation experiences for different in-vehicle infotainment platforms, vehicle lines or trim levels. All the components required are fully integrated, including a configurable HMI. The solution can be ported to the most widely used operating systems and can run in the infotainment system or be mirrored from a mobile phone. HERE Navigation On Demand exploits the company's expertise in over the air software technology to enable updates of maps, data and software when the car is in the distribution chain or in-market. Data transmissions between car and cloud are fully secure, enhancing driver and passenger safety and privacy. HERE Navigation On Demand allows automakers to generate recurring revenue through the sale of connected services to drivers directly via the infotainment system. The service delivery framework is built into the solution, reducing the investment needed for business model enablement. Automakers can freely select which part of the experience they want to offer through subscriptions, and do not need to have content or software licenses in place before a user subscribes. Using the environment provided by the HERE Open Location Platform, a corresponsing software development kit (SDK) will enable automakers and 3rd parties to create additional functionality for HERE Navigation On Demand, based on their own or third party data. These applications will seamlessly integrate in the custom HERE Navigation On Demand experience, driving customer value and real differentiation. With HERE Navigation On Demand, automakers can choose to deploy their own branding across all screens in and out of the car as part of the wide scope they have to configure the experience to their own design standards. Deep vehicle integration provides a better user experience and helps to reduce driver distraction. For example, automakers could enable drivers to search and pay for charging their electric vehicle right from the navigation application, without having to switch between different views or even use different applications. The ability to deploy HERE Navigation On Demand on both embedded and mobile platforms as well as add functionality developed in the HERE Open Location Platform means that it can also easily integrate into larger on-demand solutions for ride-hailing and car-sharing. HERE Navigation On Demand enables all the benefits of HERE automotive grade maps and navigation. These include the ability to feed automotive-grade map and dynamic road data to the vehicle's ADAS and automated driving control units. As automakers introduce more automation into their vehicles, HERE Navigation On Demand is ready to support their migration path from ADAS to autonomous driving. HERE has worked with Amazon to integrate Alexa, Amazon's cloud-based voice service, into the HERE Navigation On Demand experience. Alexa is pre-integrated into HERE Navigation On Demand, making it faster and easier for automakers to deliver an intuitive, voice-first navigation experience to customers in the car. HERE and Renesas Electronics Corporation have qualified HERE Navigation On Demand for Renesas' R-Car System-on-chip (SoC) family for automotive cockpit applications. The combination of the R-Car hardware platform and HERE Navigation On Demand jointly facilitates scaling IVI solutions from entry to top level. LG Electronics and Luxoft have partnered to make HERE Navigation On Demand available through the webOS ecosystem as it extends from consumer electronics to support automotive in-vehicle infotainment and beyond. 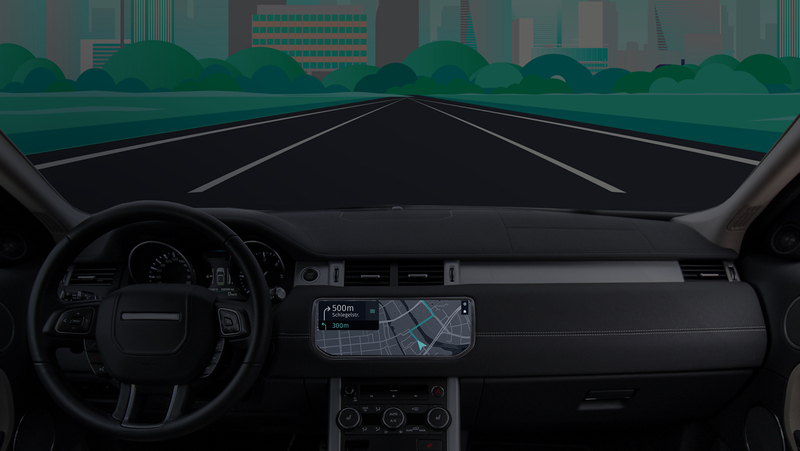 Automakers can significantly reduce time to market for their in-vehicle infotainment solutions and offer connected services off-the-shelf through the integration of HERE Navigation On Demand in webOS Auto. HERE, the Open Location Platform company, enables people, enterprises and cities to harness the power of location. By making sense of the world through the lens of location we empower our customers to achieve better outcomes - from helping a city manage its infrastructure or an enterprise optimize its assets to guiding drivers to their destination safely. To learn more about HERE, including our new generation of cloud-based location platform services, visit http://360.here.com and www.here.com.